Want it by Wednesday 24th April? Order within 3 days, 34 minutes and choose Royal Mail Tracked 24 Hour at checkout. 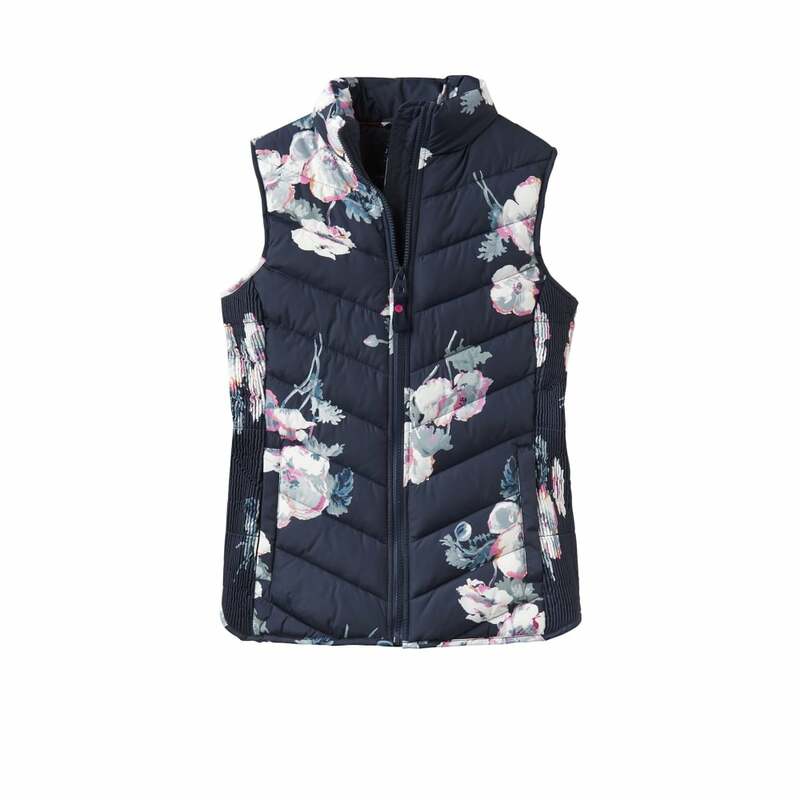 This ladies padded gilet is sure to be a staple piece of any winter wardrobe. Created using this seasons beautiful Navy Poppy print it is sure to have you heading into the new season with a spring in your step! Panel stitching combined with quilting and a curved hem gives a flattering silhouette and this warm gilet is perfect over a jumper or shirt in warmer weather.